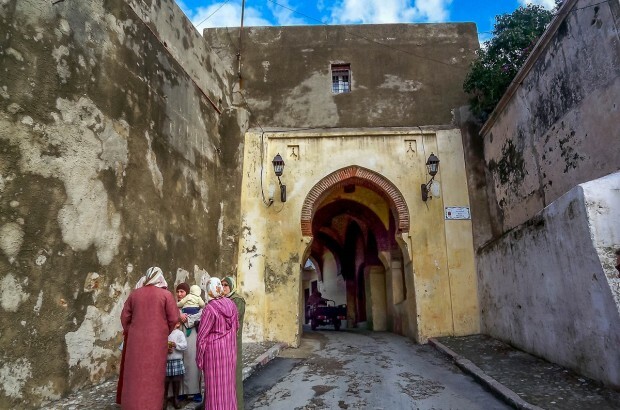 The first thing that washes over you when you get off the boat from Tarifa to Tangier, Morocco, is the frenzy of activity that seems to be everywhere. The boat itself is packed, then the port is packed. 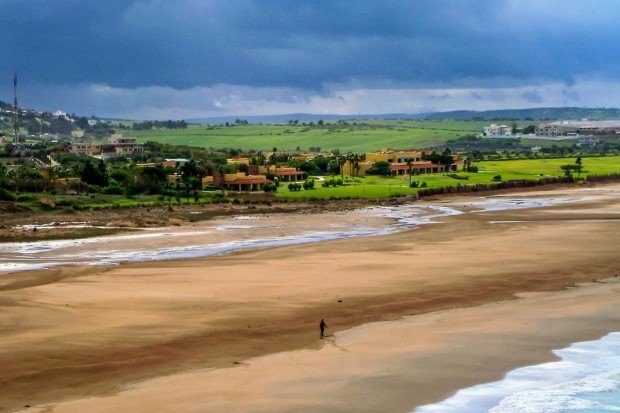 And once you drive into town, the city and its people hum with an energy that makes you want to know more about this coastal North African city. This day trip was our first opportunity to step foot on the African continent, and that alone was enough motivation for the early wakeup call to board the 9:00am FRS Ferry for the day trip from Tarifa to Tangier. 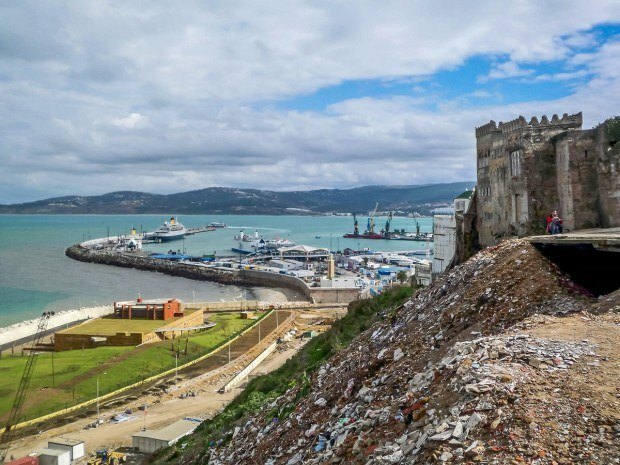 Once in port in Tangier, we met our guide Aziz Begdouri, whom we found through Rick Steves’ recommendation, and the driver. Aziz is a legend in Tangier, and we were fortunate to have him help us make our way through the city. Just as we boarded our minivan, it started to rain. We drove out through the “California” neighborhood, past mansions to the coast and the point where the Mediterranean and Atlantic Oceans meet. Along the coast, we stopped at a wide spot in the road where there were a couple of camels set up for tourists to ride and photograph. They seemed to be treated well enough, but the whole situation was a little odd and sad, so we left as quickly as possible. We drove a little farther out of the city to the Cave of Hercules, which opens out onto the ocean. The shape of the cave opening is part of local legend because it looks like the map of Africa. Much of the cave is natural, but it was expanded by Berber tribes who cut round stones from the walls to use as grinding wheels. 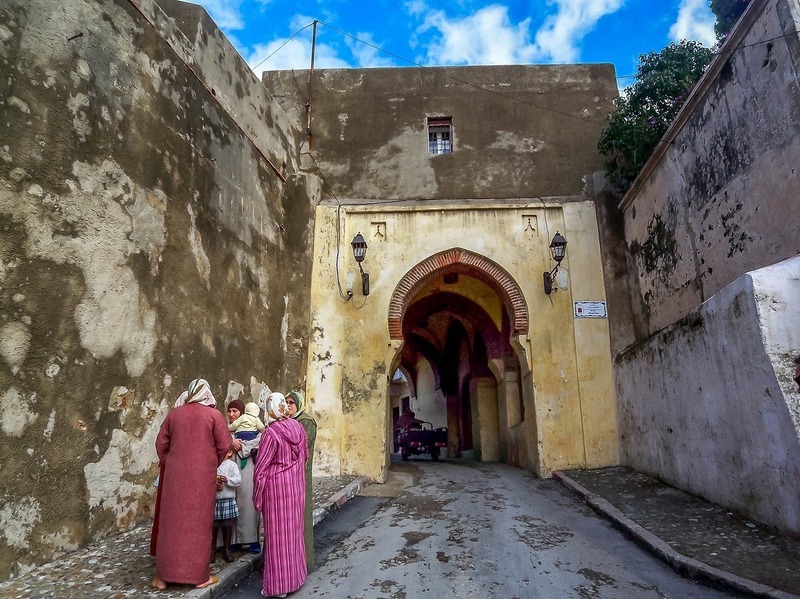 From the coast, we went back into Tangier for a walking tour of Old Town and the Kasbah. We spent most of the morning walking through the various markets in town. We started with the fish market, but they didn’t have any ice for the fish and the odor was pretty strong. It was a short visit. The second market had other meats and products like halal chickens, mountains of delicious olives, and spices. 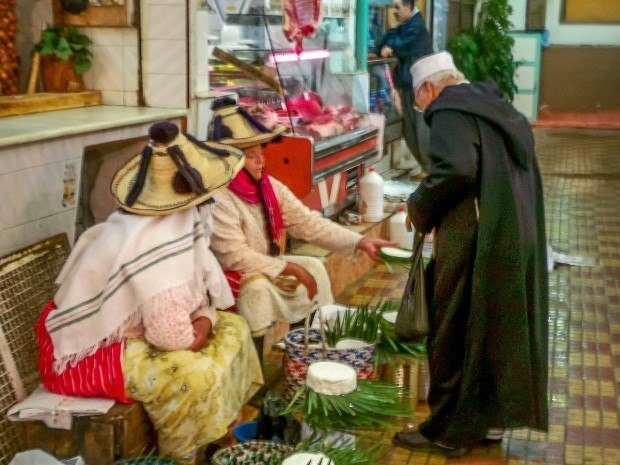 One of our favorite things to do on trips is to peruse markets like these because it tells you so much about the lifestyle and values of the people, so we really enjoyed our time there. Interestingly, our visit to Tangier fell on the day after the election of Barack Obama as the first African-American President of the United States. As we walked through the streets, a steady stream of Moroccans came up to us with copies of the Tangier morning newspaper that had pictures of Obama on the front. Many of the people obviously didn’t speak English, but they beamed as they said, “Obama! Obama!” while insistently pointing to the photo (and sometimes offering to sell us the paper). There were others without newspapers, too, who would just yell “Obama! !” as we passed their stores or walked by them on the streets. Americans have a tendency to be somewhat unaware of current events elsewhere in the world, so it was amazing to see these people so attuned to what was happening in the U.S., and so excited to let us know they were happy about it. 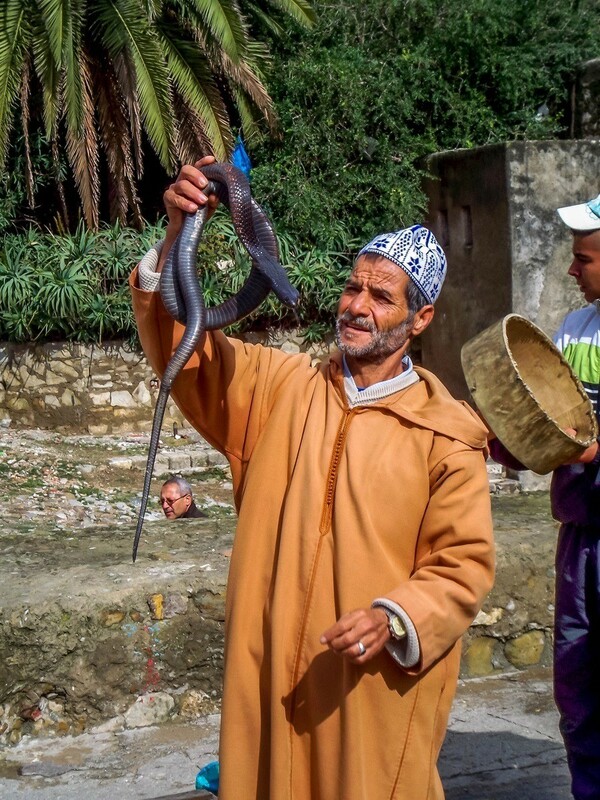 As we moved up and down the hills of Tangier, we worked our way over to the Kasbah where we found three snake charmers. OK, so it was totally touristy and tacky, but we took pictures. There were also dozens of little kids trying to sell packs of gum. It could have been cute, but it was a little obnoxious. Lunch was a stop at Restaurant Marhaba Palace. It was touristy, but the food was safe…and excellent. We both had pastilla, a meat pie made with a crust like phyllo dough and a hint of cinnamon, and Moroccan mint tea, of course. 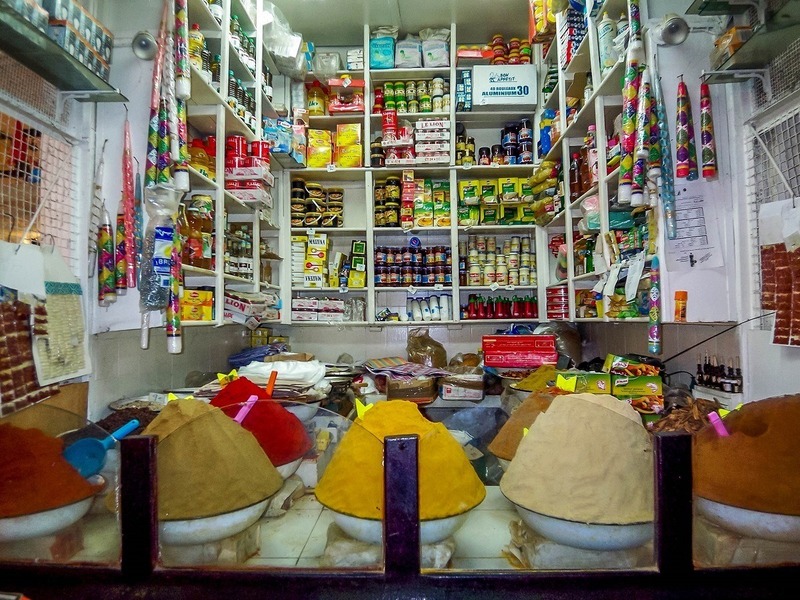 After lunch, we got to see a hint of life in Tangier. 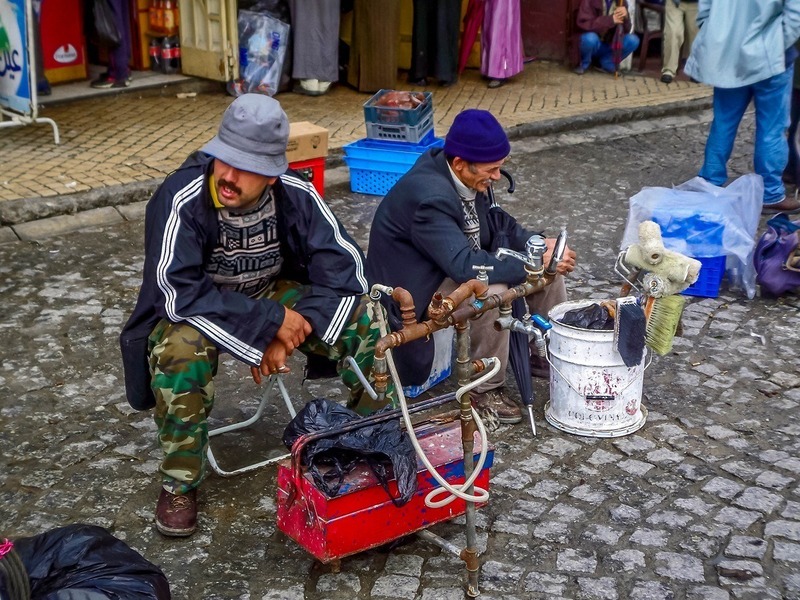 As we were walking down one little street, our guide Aziz met a friend. The friend took us into his home that he was renovating so we could see how the homes are constructed and some of the typical features. Then we went into one of the many community kitchens in Tangier where residents bring their bread to be baked. These kitchens are HOT and working conditions are terrible between the heat of the ovens, the heat of the Moroccan sun, and the small working area, but it was fascinating to see. As we worked our way back to the port, we also got to stop briefly at a neighborhood loom where weavers weave goods from rugs to tapestries to clothes. It was amazing to see the gigantic looms going back and forth and the speed at which the women worked. Before we knew it, it was time to head back to Spain. Though the visit to Morocco was quick, it solidified a desire to return and explore the country much further. Which is the point, after all. 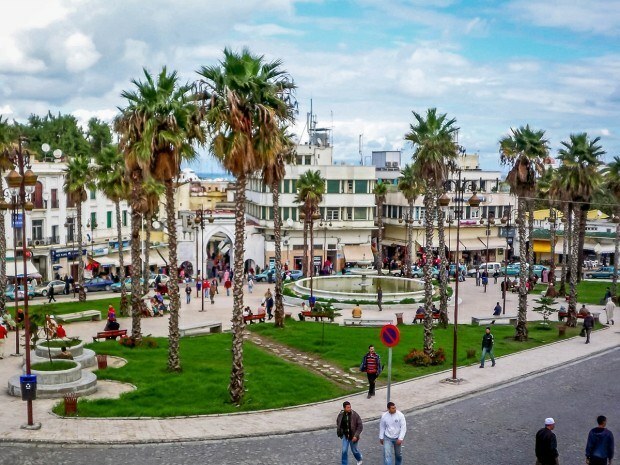 What do you think about Day Trip to Tangier, Morocco? Thanks for the detailed post. We leave for Spain this week & hope to have as good of a visit to Morocco as you did.